Lidar is essential for self-driving cars—here’s how some leading lidar sensors work. Lidar, short for light radar, is a crucial enabling technology for self-driving cars. The sensors provide a three-dimensional point cloud of a car’s surroundings, and the concept helped teams win the DARPA Urban Challenge back in 2007. Lidar systems have been standard on self-driving cars ever since. 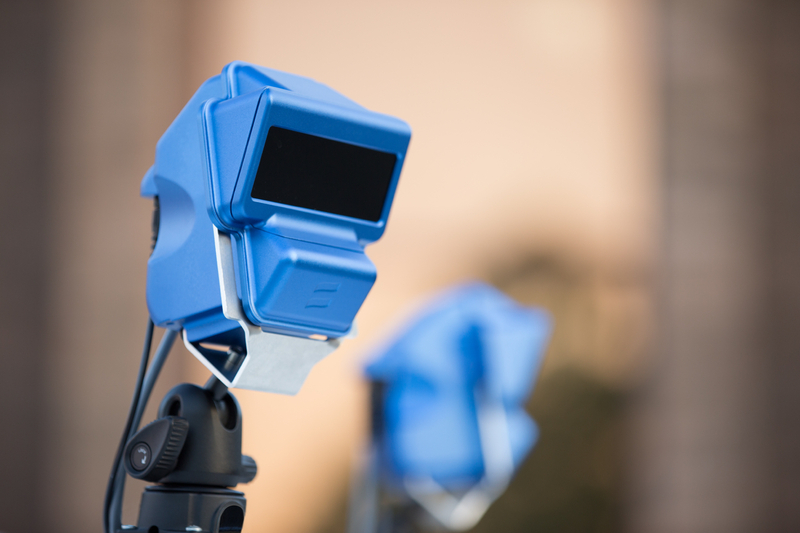 In recent years, dozens of lidar startups have been created to challenge industry leader Velodyne. They’ve all made big promises about better prices and performance. At the start of 2018, Ars covered the major trends in the lidar industry and why experts expected cheaper, better systems to arrive in the next few years. But that piece didn’t go into much detail about individual lidar companies—largely because most companies were closely guarding information about how their technology worked. But over the last year, I’ve gotten a steady stream of pitches from lidar companies, and I’ve talked to as many of them as I could. 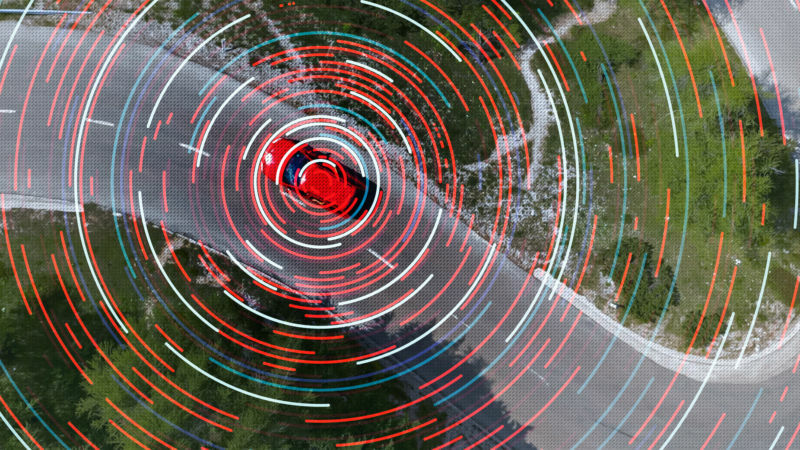 Ars has now been in contact with senior executives from at least eight lidar companies as well as others involved in the industry as customers or analysts. These conversations have provided a lot of insight not only into trends in the lidar industry in general but also about the technology and business strategy of individual companies. Today, there are three big ways that lidar products differ from one another. And after laying these approaches out, it’s easier to grasp the technology of nine leading lidar companies. To keep this survey of the lidar landscape manageable, I’m sticking to independent companies that focus primarily on the lidar business. That means I won’t cover Waymo’s homebrew lidar technology, the lidar startups GM and Ford acquired in 2017, or the lidar efforts of bigger companies like Valeo (maker of the lidar in Audi’s 2018 and 2019 versions of the A7 and A8), Pioneer, or Continental. It’s hard to get these larger companies to give us details about their lidar technology—and there’s plenty of ground to cover without them. While the basic idea is simple, the details get complicated fast. Every lidar maker has to make three basic decisions: how to point the laser in different directions, how to measure the round-trip time, and what frequency of light to use. We’ll look at each of these in turn. Spinning lidar. Velodyne created the modern lidar industry around 2007 when it introduced a lidar unit that stacked 64 lasers in a vertical column and spun the whole thing around many times per second. Velodyne’s high-end sensors still use this basic approach, and at least one competitor, Ouster, has followed suit. This approach has the advantage of 360-degree coverage, but critics question whether spinning lidar can be made cheap and reliable enough for mass-market use. Optical phased array lidar uses a row of emitters that can change the direction of a laser beam by adjusting the relative phase of the signal from one transmitter to the next. We’ll describe this technique in detail in the section on Quanergy. Flash lidar illuminates the entire field with a single flash. Current flash lidar technologies use a single wide-angle laser. This can make it difficult to reach long ranges since any given point gets only a small fraction of the source laser’s light. At least one company (Ouster) is planning to eventually build multi-laser flash systems that have an array of thousands or millions of lasers—each pointed in a different direction. So why doesn’t everyone use 1550nm lasers for lidar? Detectors for 850 and 905nm light can be built using cheap, ubiquitous silicon technologies. Building a lidar based on 1550nm lasers, in contrast, requires the use of exotic, expensive materials like indium gallium arsenide. And while 1550nm lasers can operate at higher power levels without a risk to human eyes, those higher-power levels can still cause other problems. At the CES show in Las Vegas this year, a man reported that a powerful 1550nm laser from an AEye lidar permanently damaged his camera. And, of course, higher-power lasers consume more energy, lowering a vehicle’s range and energy efficiency. With this background out of the way, let’s look at 10 of the leading lidar companies. 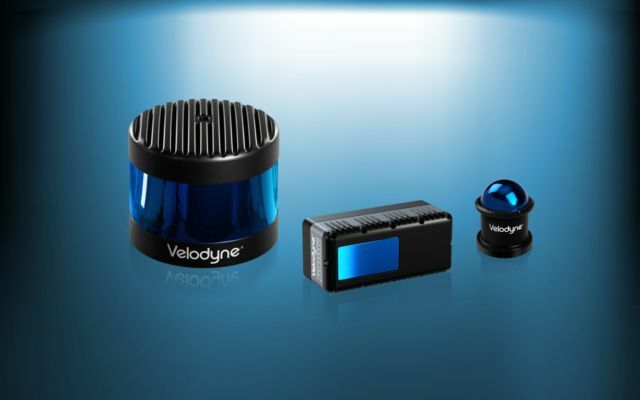 Enlarge / Three Velodyne products: the Alpha Puck, Velarray, and Veladome. Velodyne invented modern three-dimensional lidar over a decade ago, and the company has dominated the lidar market ever since. Velodyne’s distinctive spinning lidars continue to be ubiquitous on self-driving cars, and the company is likely to continue leading the market in 2019. But some industry observers question whether Velodyne can maintain its industry dominance in the coming years. As recently as late 2017, Velodyne’s flagship 64-laser lidar unit was selling for a reported $75,000 each. Velodyne introduced a new 128-laser model that’s rumored to be even more expensive—as much as $100,000. Velodyne does sell less-expensive lidars, including a 16-laser “puck” model that was selling for $4,000 last year. Velodyne also has a solid-state model called the Velarray. Velodyne says that it’s a 905nm system with a “proprietary frictionless beam-steering method.” Velodyne expects it to eventually cost less than $1,000 in automotive volumes. However, these lidars do not deliver the high-end performance of Velodyne’s spinning 64- and 128-laser models. “The delicate moving lidar sensors that are its bread and butter have proven difficult to manufacture efficiently at high quality and can be frustratingly fragile in automotive applications,” journalist Ed Niedermeyer wrote recently, citing sources in the autonomous vehicle sector. Velodyne recently signed a licensing deal with Veoneer, an established company in the automotive supply chain. Veoneer has plenty of experience building components that meet car companies’ exacting quality standards, and it may figure out ways to tweak Velodyne’s classic design in ways that improve quality and bring down costs. But they’ll have to move quickly, as a number of other companies are aiming to take Velodyne’s lidar crown. Luminar is widely seen as one of Velodyne’s leading rivals. The company has been in business since 2012, and it began volume production of its lidar units last year. And the company argues that it has industry-leading performance. That’s partly due to Luminar’s decision to use 1550nm lasers. Using an inherently eye-safe wavelength allows Luminar to crank up the power on its lasers, which helps it to see farther. Using 1550nm lasers means Luminar has to use exotic indium gallium arsenide sensors to detect return flashes. That ought to be expensive, but Luminar told us last year that the receiver assembly in its lidar units costs only $3. Luminar has also been tight-lipped about prices. Last May, Luminar CEO Austin Russell told us that lidar will “need to get down to low single-digit thousands” to be viable in the consumer market and that this “is not an issue” for Luminar. But that implies that the company’s units were significantly more than the low-single-digit thousands at the time. In a recent interview, Russell pointed to those deals as one of Luminar’s biggest competitive advantages. Major companies are designing self-driving systems around Luminar’s lidar, Russell told me, and that will make it costly for them to switch to a competing lidar provider in the future. Enlarge / The AEye AE100 lidar. AEye has much in common with Luminar. It uses a mechanically scanned mirror for beam steering. It uses a laser at the eye-safe wavelength of 1550nm, allowing it to run at high power levels. As a result, AEye’s lidar boasts impressive range figures. 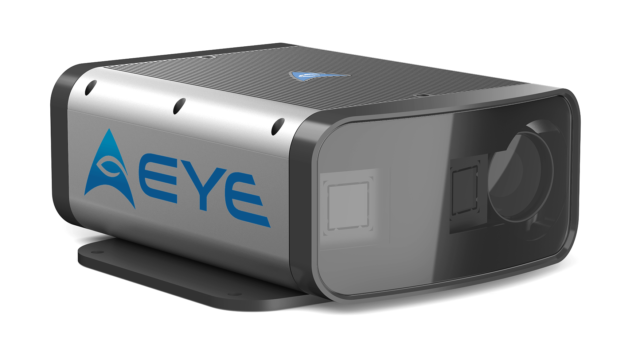 AEye says that its lidar can see as far as 1,000 meters away—vastly more than the 200 to 300 meters most high-end lidars claim. High power levels enable long range, but they come with significant downsides. During this year’s CES show in Las Vegas, a man told Ars Technica that his high-end camera had been permanently damaged when he snapped a photo of an AEye lidar demonstration. Eyes are filled with fluid that’s opaque to 1550nm light. Cameras aren’t. And so the high-powered AEye laser apparently became concentrated on the fragile image sensor in the man’s camera. In a statement to Ars, AEye described camera damage as an industry-wide problem. But Angus Pacala, CEO of rival Ouster, disputed that. He wrote “Our sensors are camera and eye safe. Period.” And Luminar wrote that “we’ve conducted extensive testing on the same camera with the same lens and same settings that was damaged at CES” and were no able to cause damage with Luminar’s lidar. Most lidars use a fixed scanning pattern. AEye’s lidar takes a different approach that the company calls “agile scanning.” The scanning pattern of AEye lidar can be configured in software and adjusted dynamically. According to Dussan, AEye’s agile scanning pattern worked together with the flexibility of its fiber laser. “We can control the pulse energy from shot to shot,” he told Ars. Software controls not only where the next measurement occurs, but also how much power is used—and therefore the range—in the next measurement. On the other hand, there’s a danger of over-optimizing. If a lidar system spends a lot of time scanning objects it has already recognized, it creates a greater danger that it could devote too little time to systematic sweeps, missing other objects as a result. At first glance, Ouster’s lidar looks a lot like Velodyne’s lidar. Both are mechanically spinning time-of-flight systems, and both companies sell units with 16, 64, and 128 lasers. That’s not a coincidence: Ouster deliberately designed its products to be drop-in replacements for Velodyne’s units, because many potential customers have grown comfortable with the classic Velodyne form factor. But if you crack open Ouster’s lidar units, they look very different on the inside. Velodyne’s classic design used 64 individually packaged lasers and 64 individually packaged detectors, according to patent filings. In contrast, Ouster has figured out how to pack 64 lasers onto a single chip, with a second chip containing 64 sensors to detect the light that bounces back. This integrated design has the potential to dramatically reduce the cost and complexity of manufacturing lidar units. 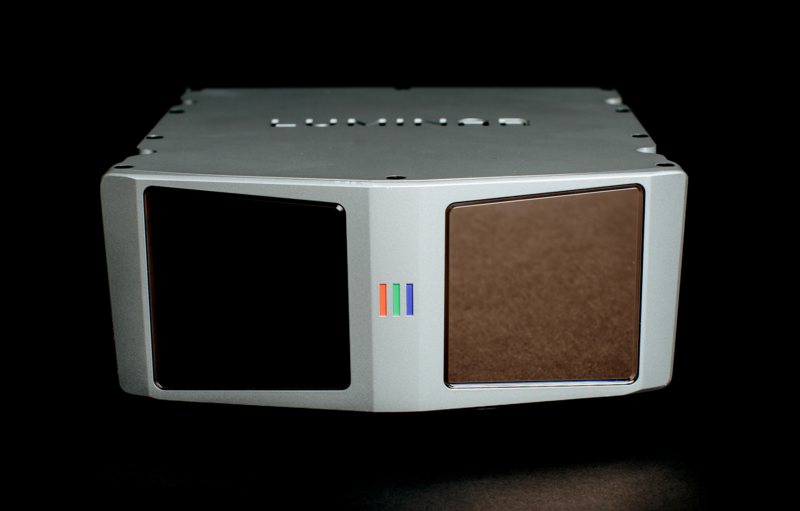 Ouster’s most sophisticated lidar, due to ship later this year, is the OS-2, a 64-laser unit that retails for $24,000. Ouster says this unit offers range comparable to Velodyne’s high-end laser units. Ouster also sells shorter-range units for as little as $3,500. Ouster is able to pack 64 lasers onto a chip using a technology called a vertical-cavity surface-emitting laser—in contrast to the edge-emitting lasers used by so many other lidar makers. Because VCSELs emit light perpendicular to the surface of the wafer, it’s possible to pack many lasers onto a semiconductor die. The technology has long been used for consumer applications, like computer mice, but has traditionally not been considered powerful enough for lidar use. Ouster says it’s figured out how to build a high-performance lidar unit using VCSELs. So far, Ouster has focused on building one-dimensional arrays of lasers for use in a Velodyne-style spinning sensor. But Pacala says the same technique can be used to build two-dimensional arrays of lasers and detectors—much like the image sensor in a camera. That could enable the creation of a new class of flash lidar where each “pixel” is served by its own dedicated laser-detector pair. This could provide the advantages of a flash lidar—no moving parts and the ability to capture an entire “frame” all at once—without the range sacrifices of conventional flash lidar. Fundamentally, Ouster’s strategy is to piggyback on the industrial base of the consumer electronics sector, which was already using VCSELs for computer mice, the range-finding features of smartphone cameras, and other uses. Pacala argues that VCSELs still have significant room for improvement in terms of brightness, cost, and energy efficiency. As the broader industry invests to improve VCSEL (and SPAD) technology, Ouster will automatically reap the benefits. While they’re superficially different products, lidar and optical networking gear actually have more in common than you might expect. They both send out information encoded in light, then capture the light later and extract information from it. In most other respects, Blackmore’s lidar looks remarkably different from Ouster’s (and Velodyne’s). Rather than spinning around 360 degrees, Blackmore’s lidar is fixed in place, with a field of view 120 degrees across and 30 degrees high. 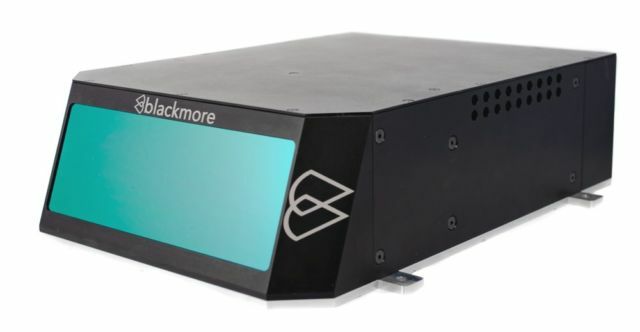 Blackmore’s lidar uses the frequency-modulated continuous-wave (FMCW) approach to measure distances, which allows the units to measure velocities as well. Baraja’s big idea is to move all of that fragile gear into the car’s trunk. This central processing unit is connected by fiber optic cables to four cheap, durable sensor heads that can be placed on the outside of the vehicle. It’s an appealing vision. The only problem is that I can’t figure out how it could work—and I couldn’t convince Collarte to explain it to me in much detail. Baraja describes its lidar as “spectrum scan lidar,” which means that it steers its lasers by varying the frequency of the laser and then passing it through a prism. That makes perfect sense as a way to steer a beam in a single dimension—but it’s hard to see how you could achieve two-dimensional beam steering with this method. Baraja is also the only lidar company we’ve talked to that uses an amplitude-modulated continuous wave approach to measure distances. Collarte told us that one advantage of the AMCW approach is that “it doesn’t require the high energy levels of a single pulse.” Some optical components can be damaged by big power spikes, so avoiding them gives engineers the flexibility to use a wider range of design options—potentially allowing for cheaper, more reliable technology. “Quanergy seems to be really struggling to get range out of their sensors,” said Sam Abuelsamid, an industry analyst at Navigant, in a recent interview. If Quanergy could get this technology to work well, it could have a number of advantages. 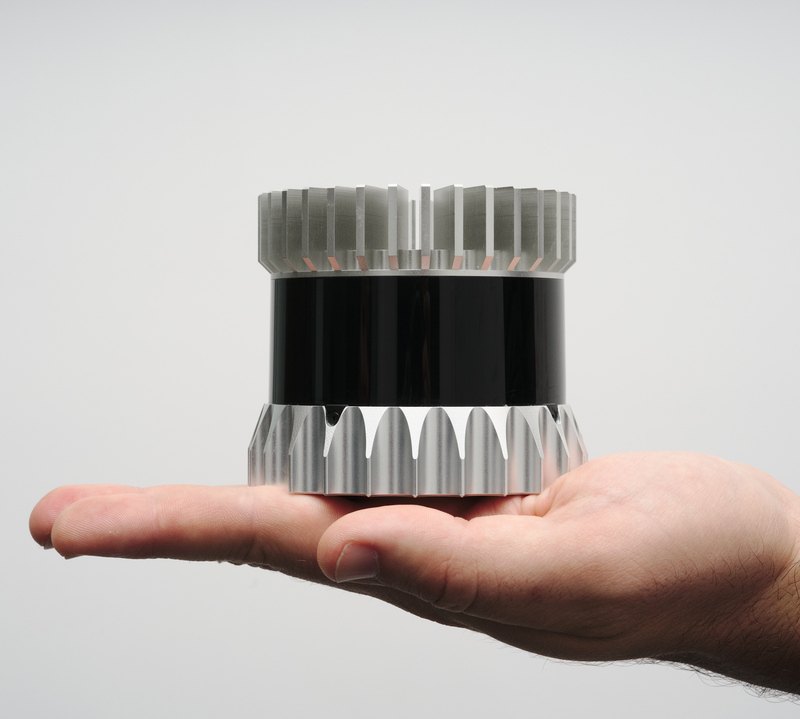 With no moving parts, the purely solid-state design could be cheap, rugged, and versatile. Much like AEye, Quanergy’s lidar can execute flexible, software-defined scanning patterns and dynamically trade off between resolution and refresh rate. But Quanergy doesn’t seem to have gotten much traction in the market. In a November interview, CEO Louay Eldada said that “we are hitting our milestones—we are on track.” But there reasons to doubt this. For example, Angus Pacala was a Quanergy co-founder before he left to start Ouster in 2015. Abuelsamid points to Quanergy’s recent focus on using lidar for industrial security—an application that doesn’t require as much range self-driving cars. Eldada told me that Quanergy now has a more conventional mechanically-steered lidar product targeted at the security market. Fully self-driving cars are one of the the most demanding applications for lidar, and so far I’ve largely focused on products aimed at that market. But Cepton is an example of a well-respected lidar maker that’s primarily aiming to get its technology used for advanced driver-assistance systems (ADAS). Today’s ADAS systems use radar and cameras for basic lane-keeping and dynamic cruise control functions. But automakers are widely expected to incorporate lidar into future vehicles to help enable more sophisticated ADAS systems. The problem is that (as we’ve seen) the best lidar systems still cost tens of thousands of dollars—and could still cost thousands of dollars even at production volumes. 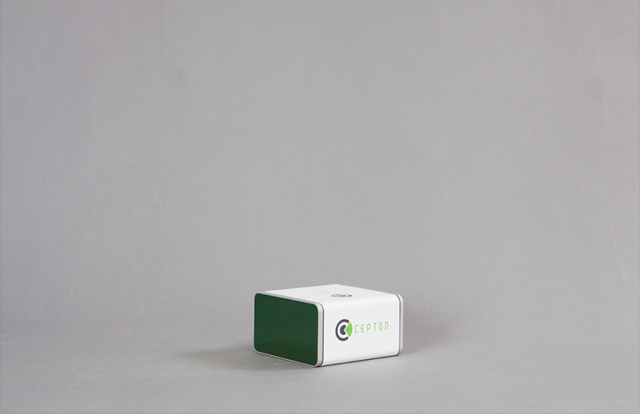 So companies like Cepton are aiming to build mid-range lidar systems that are affordable enough to incorporate into cars in the next few years. “We’re the only company that’s capable of selling our lidar below $1,000,” Pei said. And last summer, Cepton announced a deal with Koito, a Japanese company that’s one of the world’s biggest suppliers of automotive headlights, to incorporate its lidar technology into its headlight designs. 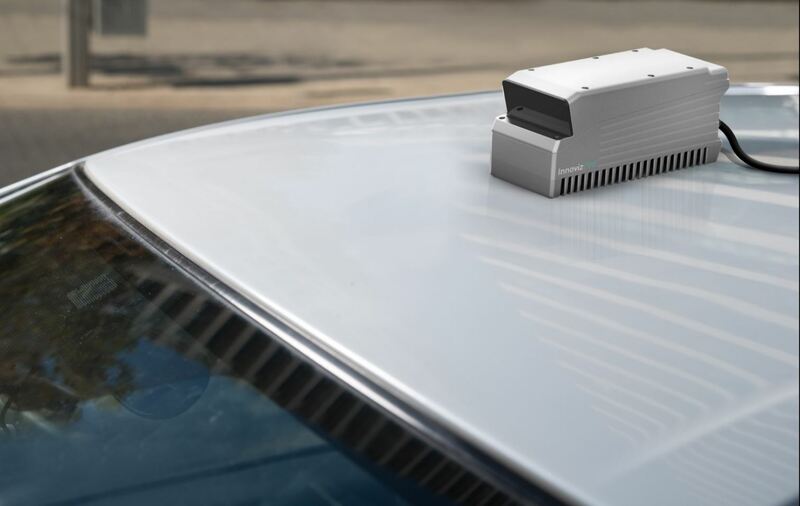 This means that if an automaker decides that Cepton’s lidar meets its other requirements, it will be able to seamlessly add lidar capabilities to its vehicles. Pei told me that Cepton’s beam-steering micromotion technology is unique to the industry. Traditional MEMS systems use a tiny, mechanically-steered mirror to redirect light. But Pei says Cepton uses “a very proprietary optical design that eliminates the mirror is but still capable of imaging with high definition.” He also described it as a “small vibratory system that works like a loudspeaker”—but he declined to provide full details about how it worked. Like Cepton, Innoviz has focused primarily on scoring large-volume deals with automakers. They’ve been hawking affordable, medium-range lidar units suitable for use in ADAS systems. And they’ve been extremely successful at it. Automakers are experimenting with lots of different lidar technologies, and so lots of lidar companies can boast of having some kind of deal with car OEMs. But the BMW deal seems to set Innoviz apart from most of its rivals—since BMW seems to be serious about incorporating Innoviz’s gear into shipping cars, not just buying units for evaluation or in prototype vehicles. Correction: I stated that Blackmore introduced its first lidar product at CES this year but the product was not Blackmore’s first. Thank you to SC for sharing this article with us @ Z5G!